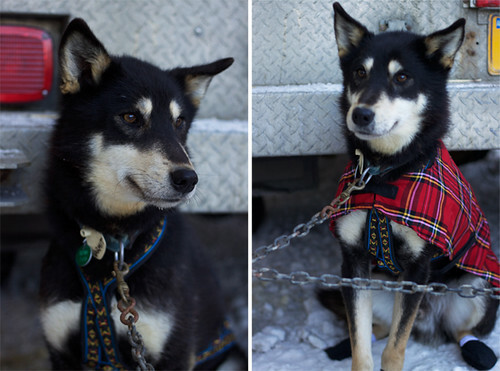 We had the opportunity to hang out in the staging area for the Scottish musher Wattie McDonald. 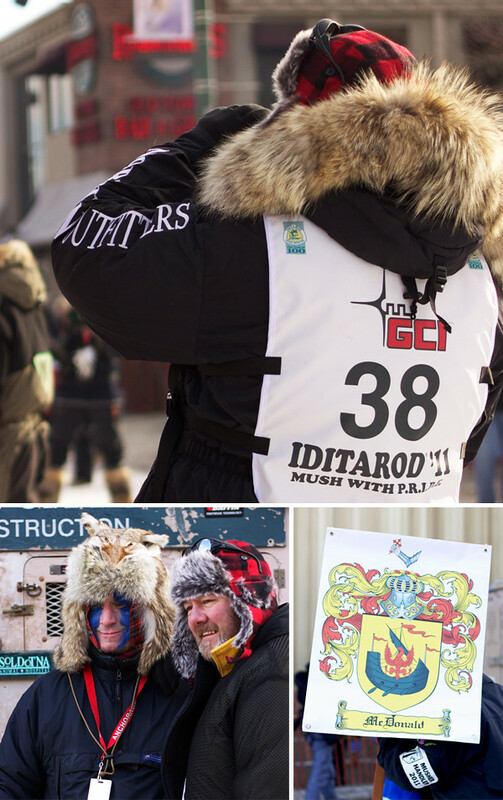 The mushers & some of the handlers showed their Scottish pride in kilts & knee-high socks, (& nothing on their legs, brrrr!) 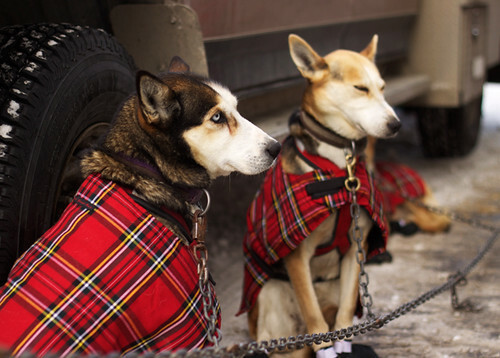 but the dogs stole the show in their red plaid coats & black booties. Doesn't Varmit look pleased with the make-over? Once in your uniform, you can close your eyes & visualize the course (these are elite athletes after all). Meet Miss Congeniality, she was so sweet & kept coming over to us for more noggin scratches. 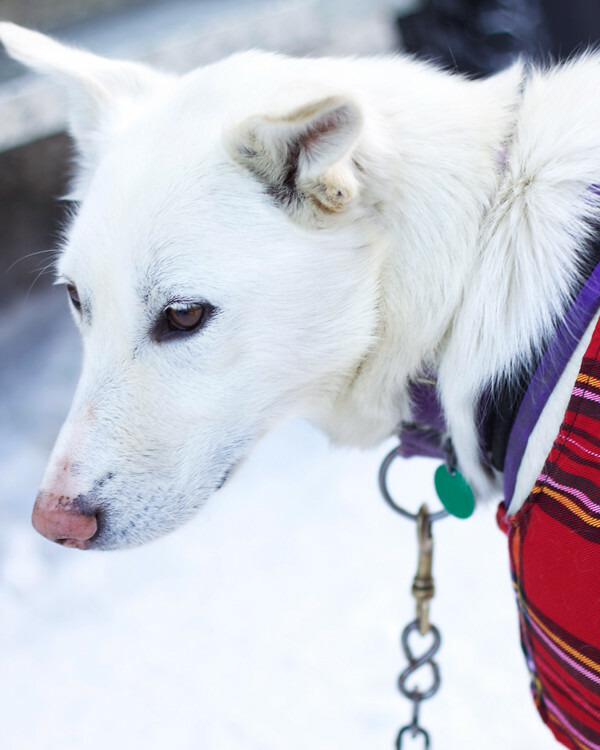 Despite being enthralled with the dogs, I did actually manage to get in a couple of shots of the musher. It was a cold & sunny morning, there were more than a few "eyes closed" photos. 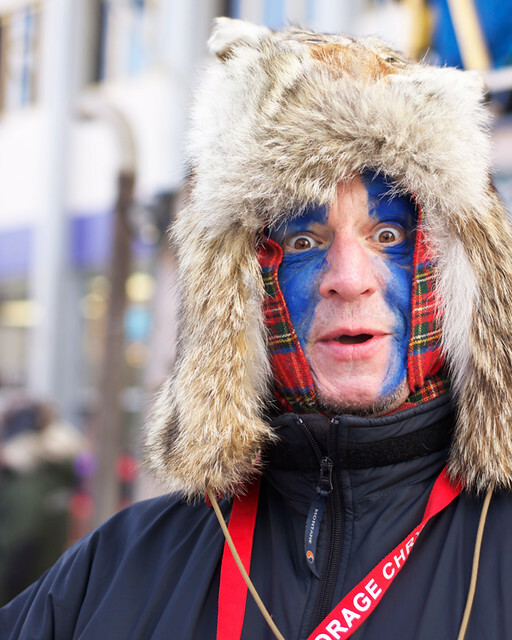 This is Wattie's fellow Scotsman & 2nd sled musher Kevin Thain in full costume, making sure his eyes were open for the photo. That's where the photos stop for the morning, because we were invited to run the dogs up to the start - sometimes you gotta put the camera down & jump into the action!